Frank Torre, was recently named as one of the most powerful business leaders in Metro Detroit by dBusiness, the region’s premier business journal. The comprehensive list of the most powerful executives in more than 30 industries across Metro Detroit and Michigan recognizes the most highly selective business leaders in our region and state, and ranks them based on factors including the company size, growth rate, geographical reach, and extensive personal networks in the region. Frank Torre is a Michigan entrepreneur, businessman and philanthropist and currently serves as the Co-CEO of Signal Restoration Services, a large-scale national disaster restoration services company, and is the Vice Chairman of PuroClean, a national disaster restoration services company with locations across the United States and Canada. The recent Liberty Mutual Invitational Golf Classic, an event which brings Golfers and Supporters on the course to benefit Boys Hope Girls Hope of Detroit, which is a youth academic scholarship program for the underprivileged residing in Metro Detroit, was held at the prestigious Franklin Hills Country Club. The August 27 Golf Outing and Auction which raised nearly a half a million dollars to directly benefit the charity in their efforts to cultivate “youth empowerment through the foundation of education and holistic support”, was as previously, personally managed by Frank Torre, the event chair. The Annual Golf Outing and the ensuing awards dinner, included some of Detroit’s most iconic names, including Oakland Country Executive L. Brooks Patterson, former Mayor of Detroit Dennis Archer, TV Personality and Channel 4 Anchor Rhonda Walker, Mickey Redmond, a former professional hockey player, and analyst for Detroit Red Wings games on Fox Sports Detroit, Edward Dario Mio, a former professional goal tender who played for the Detroit Red Wings, Edward Miles, Jr, is a retired professional basketball player who played for the Detroit Pistons, and many other notable business and philanthropic leaders, including Ryan LaFontaine, CEO of the LaFontaine Automotive Group, and Tom Celani, proprietor of the Celani Family Vineyards . The awards dinner was emceed by Paul W. Smith, the legendary Detroit radio icon, notable columnist, and host of the “Paul W. Smith Show” on WJR radio. Such initiatives are made possible in part thanks to the generous contributions from local businesses and organizations, among them Signal Restoration Services and PuroClean, who are proud to support the non-profit’s mission of graduating “young people who are physically, emotionally and academically prepared for post-secondary education and a productive life…”. As the Chairman of Boys Hope and Girls Hope of Detroit, Frank Torre has been involved with the non-profit organization for over 14 years. He has personally organized and hosted the most recent 26th Annual Golf tournament, which raised over $350,000 as part of the annual campaign to promote and support the organization. Through his dedication and commitment to the foundations’ success, Frank Torre’s fundraising initiatives over the past 14 years have contributed over 4.5 Million dollars to directly support the foundation’s initiatives of scholarship and educational programs. During the closing Scholarship Awards Ceremony, the Boys Hope Girls Hope of Detroit Foundation recognized its 2018 scholarship recipients with a new scholarship, named in honor of Frank Torre, aptly named the “Frank Torre Scholarship”, which recognizes and rewards selected individuals, who embody the foundation’s mission of empowerment though scholarship. Outside of his active involvement in the philanthropic community, Frank Torre serves as the Co-CEO of Signal Restoration Services, a large-scale national disaster restoration services company, as well as the Vice Chairman of PuroClean, a national disaster restoration services company with locations across the United States and Canada. Governor Jennifer M. Granholm appointed Frank Torre to serve on the Michigan Natural Resources Trust Fund Board to represent the general public in 2005. Spanning two Administrations, including the Granholm and Snyder Administration, Mr.Torre, as part of a 5 member Board of Directors, has helped promote the Fund’s initiative to help create vibrant communities and enhance the quality of life for our residents Frank Torre is a Michigan entrepreneur, businessman and philanthropist and currently serves as the Co-CEO of Signal Restoration Services, a large-scale national disaster restoration services company, and is the Vice Chairman of PuroClean, a national disaster restoration services company with locations across the United States and Canada. To date, the MNRTF’s projects have funded the development and expansion of multiple parks and public greenspaces, as well as spearhead a number of initiatives to “help protect our state's pristine beaches, forests and wetlands.” Since its inception in 1976, the MNRTF has awarded over $1 billion in grants to local governments and state agencies throughout all 83 counties. Nationally, the MNRTF’s ability to create “a level of partnership between local units of government and the state.” is recognized as a model for such partnerships. Frank Torre is a Michigan entrepreneur, businessman and philanthropist and currently serves as the CEO of Signal Restoration Services, a large-scale national disaster restoration services company headquartered in Troy, Michigan. A leader in large scale property damage restoration, Signal Restoration has an impressive portfolio of major disaster recovery projects, including being brought in by the municipalities of New York City following the devastation caused by Superstorm Sandy to restore five major hospital systems. The company has also performed major disaster restoration projects in Anaheim Stadium in Anaheim, California, the Detroit Medical Center and the Detroit Zoological Park. 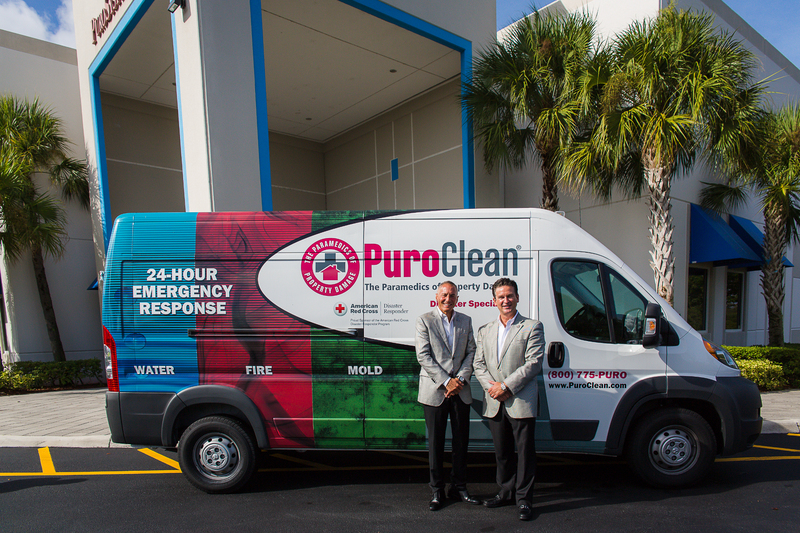 In addition to his role as CEO of Signal Restoration, Frank Torre also serves as Vice Chairman of PuroClean, a Florida based disaster restoration services company with locations across the United States and Canada. Prior to purchasing Signal Restoration Services and acquiring a majority share in PuroClean with Mark Davis, Frank Torre was the former founder and CEO of Torre & Bruglio, Inc., a company that was started by Frank at a young age with nothing more than a single truck and one wheel barrow, which he grew into one of the largest horticultural, landscape architecture and construction services companies in North America. Frank Torre also founded Torre Golf Management & Construction Services, Torre Sports Division, and Torre Enterprises. 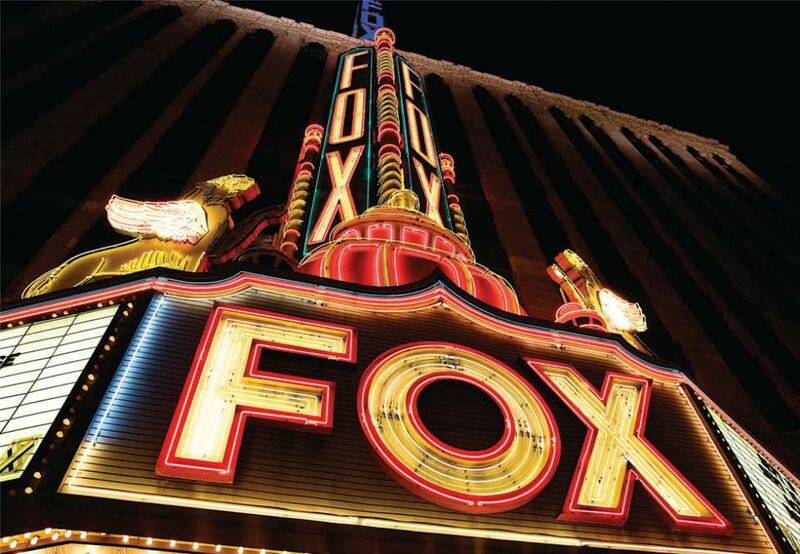 Some of the more prominent projects completed by the company include many of Detroit’s most notable landmarks. Under Frank Torre’s leadership, the company was responsible for building the Athletic Field for the Detroit Tigers at Comerica Park, and the landscape construction of the Edward H. McNamara Terminal at the Detroit Metropolitan International Airport, the Chrysler World Headquarters in Auburn Hills, the Riverwalk Promenade on the Detroit River, Campus Martius, as well as servicing the (PAG) Penske Automotive Group and AutoNation Nationwide. Apart from his professional responsibilities, Frank Torre supports a number of philanthropic community organizations and national philanthropic activities. His laudable efforts in beautifying the metro Detroit Area led a number of awards a to his appointment by the Governor of the State of Michigan to serve on the prestigious Michigan Natural Resources Trust Fund Board. Even more notably, for his outstanding contributions to and support of multicultural traditions, Frank Torre was awarded the coveted International Institute of Metropolitan Detroit’s Heritage Hall of Fame Award. The prestigious award recognizes exceptional leaders, who by virtue of their professional and philanthropic efforts have made outstanding contributions to the American way of life. Frank Torre also serves as a Member of the Board of Directors of some of the nations most respected and impactful organizations as well as carries a number of national, state and regional Professional Association Memberships. To that end, as a member of the executive board of the DMC / Tenet Healthcare Systems, a Dallas, Texas based health care provider, Frank Torre is the Chairman of the Board of Directors of the Detroit Medical Center’s Rehabilitation Institute of Michigan, one the nation’s premier providers of physical medicine and rehabilitation with a mission to “help people rebuild their lives after a serious injury or illness” and to provide cutting-edge research in physical medicine and rehabilitation and “explore new treatment frontiers.” To benefit the DMC/RIM mission of promoting the rehabilitation of persons with life altering disabilities through research, education and community programs, Frank Torre has chaired a number of fundraising events to support and maximize the impact of its mission. At a recent evet held at the Fox Theater to benefit the RIM Foundation, Frank Torre worked to closely with the organizing committee to orchestrate the overall production and ensure the overall financial success of the event at which the DMC / RIM Foundation partnered with Kali’s Cure and Urban Science in order to bring awareness to and support much needed medical research and advancements in rehabilitation that lead to medical breakthroughs. These two organizations share the Rehabilitation Institute’s vision to “help people rebuild their lives...” and “explore new treatment frontiers...” and were among the proud sponsors for the Foundation’s Annual Gala. As the event chair Frank Torre addressed an audience and expressed his profound gratitude for the attendees sharing in his vision to give back to the community and educational organizations. Frank Torre further recognized and applauded patients who have overcome great challenges, stating that even he was overtaken with the level of generosity and outpouring of support to promote this worthy cause. 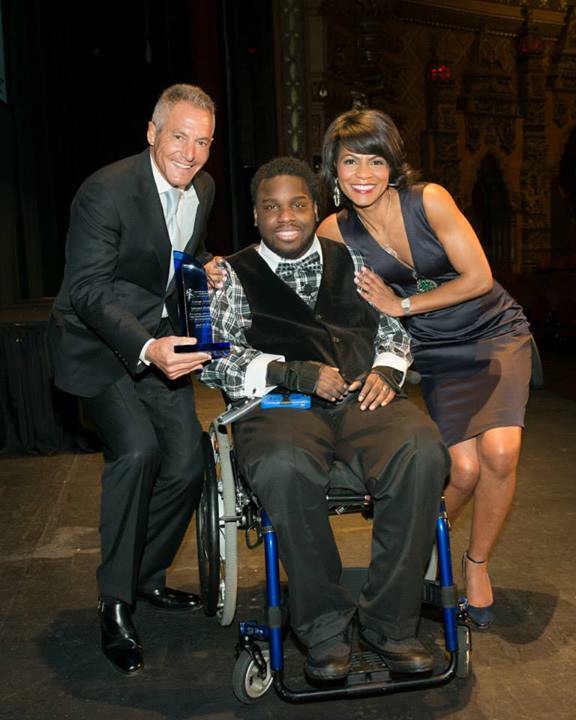 WDIV News Anchor Rhonda Walker served as Mistress of Ceremony, and recognized patients who have overcome great challenges and stating that they are an inspiration to others. 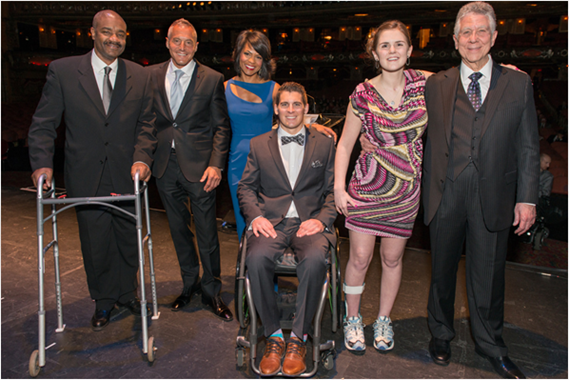 The Rehabilitation Institute of Michigan Fund and its presenting sponsors, Urban Science and Kali’s Cure, continue to support the Institute’s mission of innovative programs and groundbreaking rehabilitation research to enable innovative treatments in spinal cord injury recovery. During this year’s event, a remarkable new advancement was demonstrated to the attendees which can aid patients with limited upper body mobility by taking advantage of cutting edge research and technology. A robotic, hands-free exoskeleton suit, or REX, is the world’s first hands-free, self- supporting, independently controlled robotic walking device, which doesn't require the use of forearm crutches was and produces improvements in walking ability for patients with neurological impairments. It is these types of scientific and technological breakthroughs which continue to fuel the mission of the Rehabilitation Institute of Michigan to enable innovative treatments in spinal cord injury recovery. Frank Torre donates equipment to help the "Clean Downtown" Detroit. As one of our nation’s premier providers of physical medicine and rehabilitation, the Detroit Medical Center’s Rehabilitation Institute of Michigan (RIM) has been helping people rebuild their lives after a serious injury or illness for more than 60 years. At a recent event, DMC Heals, Mathew Sanford spoke with Frank Torre about the role rehabilitation and physical medicine played in his life. 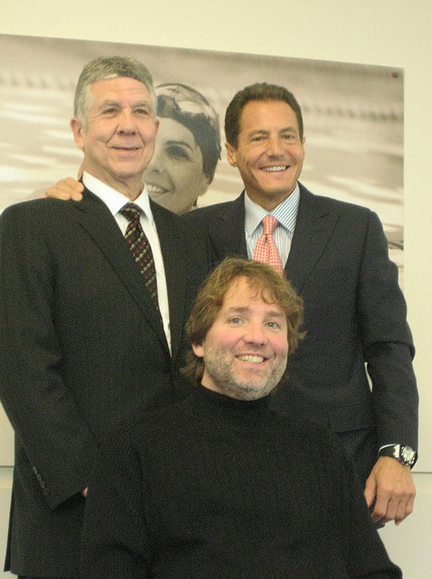 As the Chairman of the Board of Directors for the Rehabilitation Institute of Michigan, part of the Detroit Medical Center, Frank Torre took a personal interest in Mathew’s story. Mathew Sanford has recently published a book about how he was paralyzed from the chest down after a pivotal event which set Matt on a lifelong journey following which he emerges with an entirely new view of being a "whole" person. 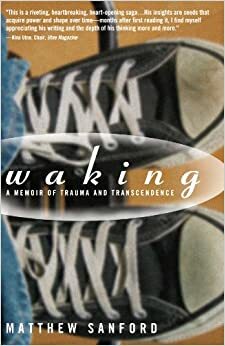 The book, titled Waking, delivers a powerful message about the endurance of the human spirit and of the body that houses it. In 2010, the DMC Rehabilitation Institute of Michigan named Frank Torre as the Chairman of the Detroit Medical Center’s Board of Directors, for DMC’s Rehabilitation Institute of Michigan (RIM). Frank Torre succeeded Frank D. Stella who has served on RIM’s board for over 10 years. 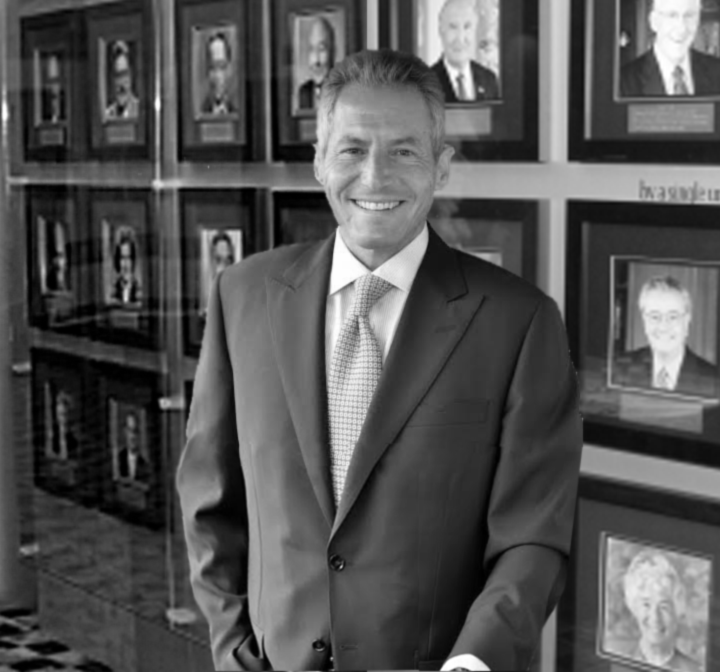 Previously the president and CEO of Torre & Bruglio, Inc, Inc., a Michigan based company, Frank Torre currently serves as CEO of Signal Restoration Services, and joined RIM’s board in 2001 as the Chairman of RIM’s Fund Development Committee. 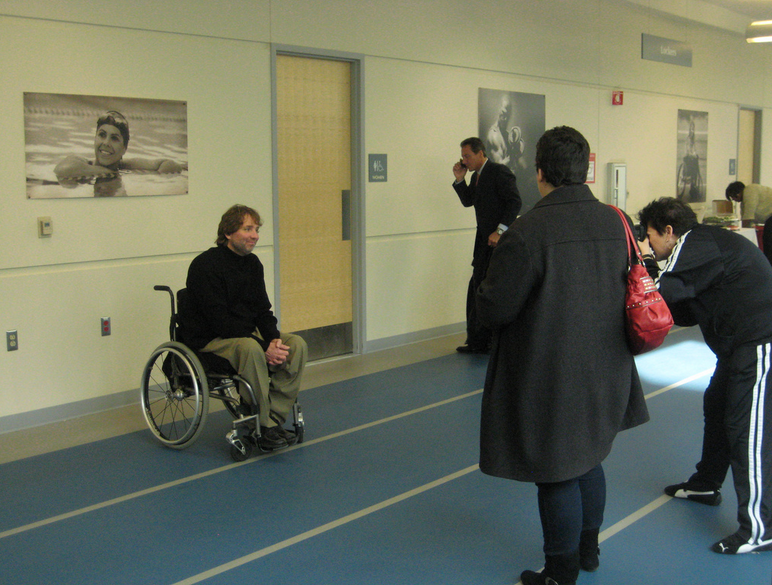 At the event, Frank Torre toured the DMC Rehabilitation Institute of Michigan’s facilities with Matthew Sanford who shared his experiences and demonstrated the benefits of yoga to disabled and non-disabled students at DMC Rehabilitation Institute of Michigan. When asked about the event at a later interview, Mathew Sanford stated that Frank Torre’s passion and energy where contagious and he believes that with Frank Torre’s guidance, the DMC will continue RIM’s legacy of cutting-edge treatment techniques complemented by innovative research and personalized medical care. Frank Torre is a Detroit, Michigan based entrepreneur, businessman, and philanthropist who has been committed to many mentoring and scholarship programs and national philanthropic activities. As the CEO and chairman of Signal Restoration Services as well as Torre and Bruglio Inc., Frank Torre has restored, renovated and rebuilt many historic Detroit Landmarks including the Chrysler World Headquarters in Auburn Hills, the Detroit Tigers athletic field in Downtown Detroit, Detroit Metropolitan International Airport in Wayne County, and the famous Detroit Zoo located in Royal Oak. Apart from his professional responsibilities, Frank Torre supports a number of philanthropic community organizations. Recently, as the Chairman of Boys Hope and Girls Hope of Detroit, an academic scholarship program for underprivileged youth in the metro Detroit area, Frank Torre organized and personally oversaw the 25th Annual Golf Classic held the Oakland Hills Country Club in Bloomfield Hills, Michigan. The event, in which Oakland County Executive L. Brooks Patterson served as emcee, included dinner as well as a live and silent auction. The Golf Classic was organized and personally managed by Frank Torre, who personally invited some of Michigan’s most influential speakers and attendees, most notably of which were Roger Penske, Oakland Country Executive L. Brooks Patterson, TV Personality Rhonda Walker, Oakland Country Sherriff Michael Buchard, Chief District Court Judge Julie Nicholson, and many others, to support the Boys Hope and Girls Hope of Detroit. 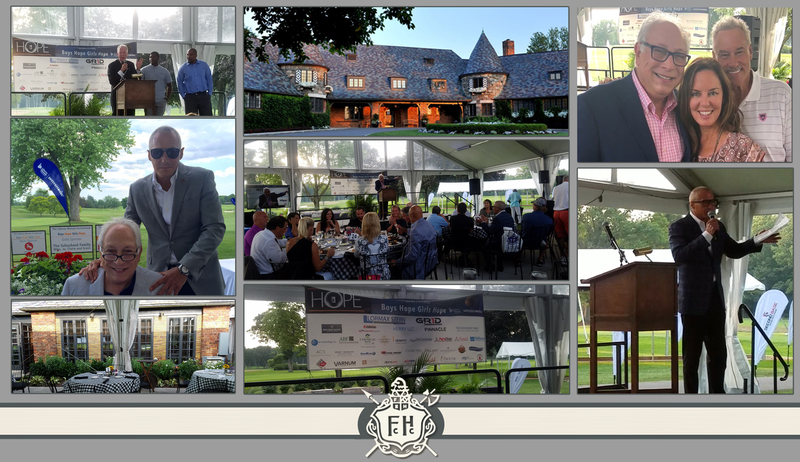 The June 22nd event raised a very significant amount of contributions to support the Boys Hope Girls Hope Programs and Initiatives in Southeastern Michigan. More importantly however Frank Torre’s fundraising initiatives over the past 12 years, have raised over 3 Million dollars to support and grow the Boys Hope Girls Hope organization and ensure that the community served by the program receive not only a stepping stone in life, but ongoing support. The administrators for the Boys Hope Girls Hope of Detroit were quoted as saying that (Golf Classic) “is always beautifully managed by Frank Torre….” at Oakland Hills Country Club. The Boys Hope Girls Hope Annual Golf Classic was kicked off with lunch followed by dinner as well as a live and silent auction.